In Texas there are at least two baseball teams named Rangers. One is a major league baseball team. The other is part of the Carrollton, TX (coach pitch division) Little League. A major league baseball team must be able to catch, throw, and hit. The Texas Rangers have all but three of these skills, and it shows. In the last two years, the Texas Rangers have been above .500 for a total of four days. The Texas Rangers also lack Joe Manna who, on Saturday afternoon, went 3 for 4 with a home run, double, and single. 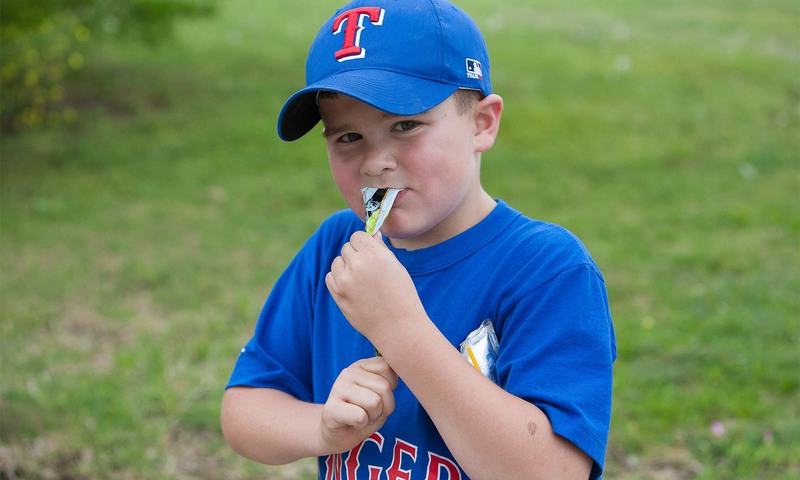 Maybe the Texas Rangers should make grape popsicles part of their routine. Either that or wait a few years until Joe Manna is old enough to bring his bat (and popsicles) to the big leagues.